Thank you for submitting your item for appraisal. 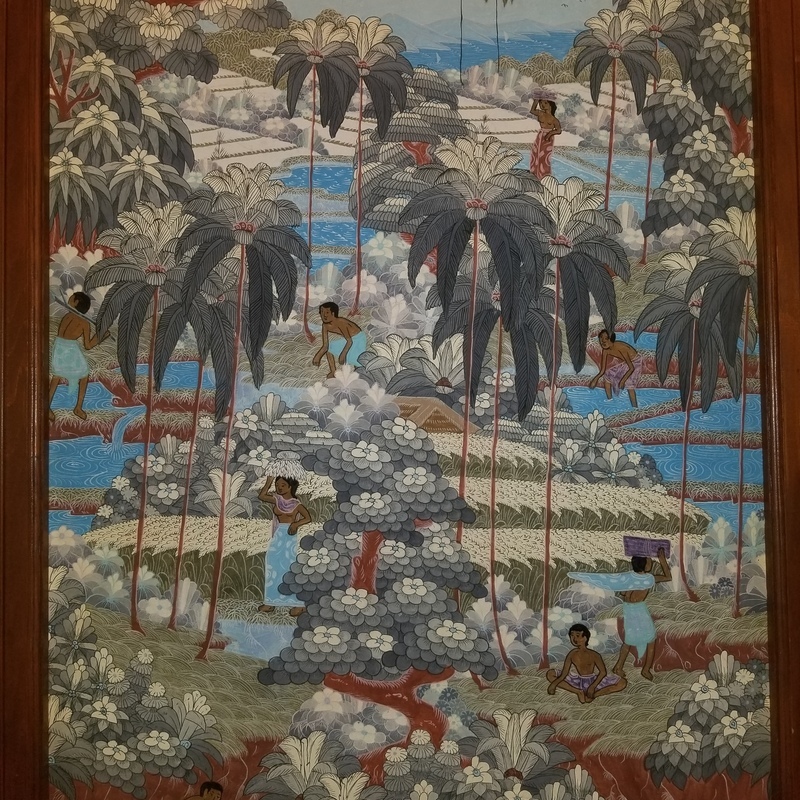 This appears to be another decorative late 20th century painting from Ubud, Bali. This is the center of art production on this beautiful island. Such paintings are being produced for tourists and are most likely more expensive there than on the secondary auction market. The estimate is based on similar paintings sold at auction. There is no measurement for the sentimental value you might attach to the item.